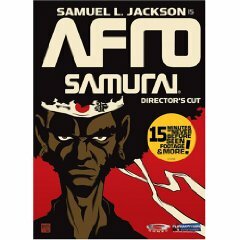 About a week ago I had the pleasure of watching all of Afro Samurai Season 1 on DVD; non-stop, of course. And with all the hype I will have to say I am quite disappointed. The graphics was good. The action was there. But IMO, the plot was seriously lacking. Honestly though, the Afro’s fight with his old buddy the Teddy Bear Man was bigger and better than his fight with #1 (the person who killed his dad, the former #1). Hopefully season 2 will be more enjoyable. Rating: 3.5/5 – It’s a good watch and all but not a “Must See It Immediately” anime. This entry was posted in My 2 Cents and tagged 1, afro, dvd, samurai, season on September 25, 2008 by a8le. An important lesson I recently learned since I started actively selling on eBay is that no one should have to ever drive to the post office. It doesn’t matter how close you live to your post office, USPS should come to your house daily if necessary, except Sundays. The internet has made mailing packages just as easy. If you sell through eBay, this service is tightly integrated into their system. Once a sale is done and payment has been received, all a seller does is click on a link labeled, “Print Shipping Label.” From there we are sent to PayPal’s shipping center where we enter in the package’s weight and our preferences. The final step is to print out our “save a trip to the post office shipping label” and stick (clear packaging tape is necessary) it to the package. Oh, of course, you’ll at least need a PayPal account to this service. 3) you’ll save with delivery confirmation, which cost $0.75 at your local P.O. and $0.18 online. You don’t want to use PayPal? There is still hope. Go straight to the USPS.com website and sign up with them, just click on their “print a shipping label” link. The drawback to this is you are limited to Priority or Express Mail only, which cost much more. Final notes… you’ll need a scale of some sort to accurately see how much your package weights. And if your packages is a big one, you might have to take it in to your local post office. If you aren’t sure what is or isn’t too big, I’d visit USPS.com for their say in it. I hope this helps someone because it has helped me tremendously; especially for the non-eBay items. This entry was posted in My 2 Cents and tagged ebay, label, package, paypal, shipping on September 14, 2008 by a8le. The Dilemma, What would you do? As an IT expert, I try to do whats best for family, friends, and clients all alike. I give them all the same advice. However, I have been having a dilemma with a specific piece of software. I am talking about the Firefox plugin, named Adblock. What it does is blocks virtually all ads while you are surfing the web. What this means is faster surfing and less annoyances. 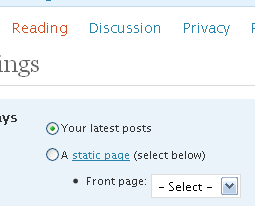 I honestly don’t know what I’d do without it… as a constant web surfer. But as a website developer, I know those very ads sometimes pay for the site’s cost. So far I still tell everyone to use it as normal, mostly because my sites are either hobbies or so small that their cost doesn’t mean much. I could just imagine the big time players running multiple servers and their cost. This entry was posted in My 2 Cents on September 8, 2008 by a8le.